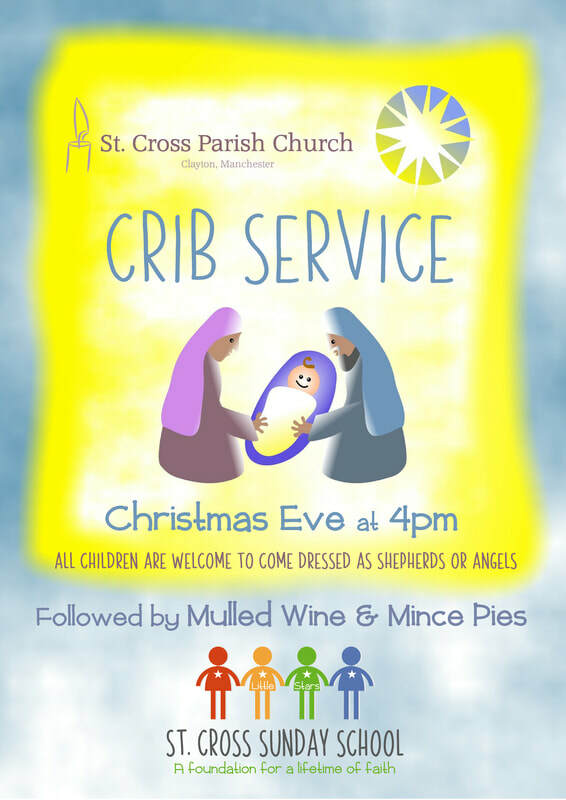 At 4pm on Christmas Eve our St. Cross Little Stars Sunday School will be performing a Nativity Crib Service in church. You'll hear the Story of Christmas, narrated by our Sunday School Leaders and acted out by the children, with Carols and Christmas songs for all ages!! Any children coming to the service are invited to dress as shepherds or angels to get into the spirit of the Christmas Story!! The service will be followed by Mulled Wine & Mince Pies in the Church Centre (with something non-alcoholic for the children and designated drivers, of course!)!! We hope you'll join us for what is sure to be a fun and very special way to get into the true spirit of Christmas! !